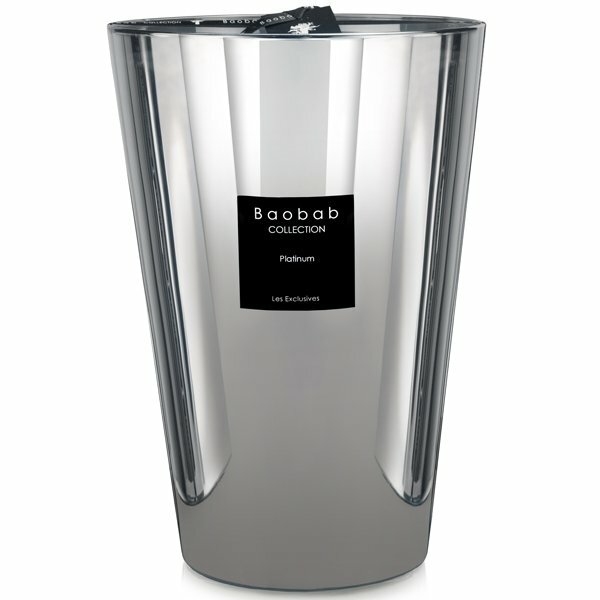 Baobab Platinum Max35 Candle is the epitome of sophistication. Inspired by the rarest metal on Earth, its silver white color provides exceptional clarity. The amber and musky scents present at the heart of the Platinum scent make it a refined experience to be had. This blend, enriched by grapefruit extract, generates a masculine ambiance as elegant as it is powerful.